Who Killed Malcolm X? And Why? Ms. Begum was an HNN intern. 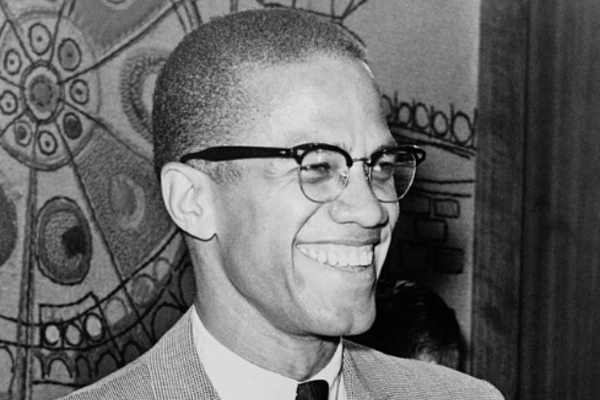 Malcolm X (El-Hajj Malik El-Shabazz, born Malcolm Little) was an influential and inspirational figure to the Afro-Americans in the United States. A powerful orator, excellent debater and willing to preach “The price of freedom is death,” led for his personality and teachings to be printed across the U.S. and the world. There are three possible answers. Three—because each on its own isn’t satisfactory. Examining the motives behind the killing inevitably leads for more questions to be asked and before you know it, you’re in too deep. Malcolm X’s countless speeches, debates, press conferences, letters and autobiography reveal many factors that could’ve contributed to his death. Indeed, just as he had supporters, he also had many enemies. One, those who were convicted for his assassination were Talmadge Hayer, Norman 3X Butler and Thomas 15X Johnson. This could imply they worked together on their own accord – no influence from outside power. However, all there were members of the Nation of Islam. Did the Nation of Islam order his assassination? Malcolm X, during numerous press conferences claimed his life was at threat by the Nation of Islam. He claimed that Elijah Muhammad had ordered his death simply because he had learned the truth—Elijah Muhammad was the father of eight children by four teenage personal secretaries. The Nation of Islam had a figure in Malcolm who, judging by his speeches and expressions, truly believed in Elijah Muhammad and was willing to die for him, and represented the Nation of Islam at all times. This should have been an advantage to them considering his vocal ability. However, it was actually a disadvantage to Malcolm X—realised after his suspension from the Nation of Islam—as it created jealously and rivalry within the organisation. After his pilgrimage to Mecca and his visits to various African nations, he began to have his own ideas on how to further the Afro-American movement. He also converted to orthodox Islam, thus, gaining him international recognition and connections with Muslim leaders abroad. But this was a direct threat to Elijah Muhammad. ‘We didn’t want to kill Malcolm!’? This implies that they may not have wanted to, but they needed to and had to kill him. Finally, federal government agencies could have been involved in Malcolm X’s death, if only in partnership with the Nation of Islam. A bold accusation, almost certainly not true, but Malcolm does mention in his autobiography that he was under constant surveillance by American agents. He met with African leaders like Nasser, Kenyatta, and Nkurmah, raising pan-African consciousness and drawing explicit parallels between racism in the U.S. and decolonization. That could’ve raised some hackles.